Oatmeal has been used in skin care for centuries and for good reasons too! The starches in oatmeal sooth the skin and the oatmeal also provides gentle cleansing properties. I have wondered how fine do we need to grind the oatmeal for it be be nice in soap, yet not leave whole oats in our belly buttons. As I was reading a blog that has been submitted for the Perfumer’s Kit, the blog writer mentioned that she hated the feeling of whole oats in her soap and not to mention the mess left behind! We recommend using 1 to 6 teaspoons of finely ground oat flour per pound of fats to your soap. Remember, too much of one ingredient can be a bad thing! The more oatmeal you add, the coarser your final bar of soap will become. This recommendation suits any style of solid soap, whether it is Cold Process, Hot Process or Melt & Pour Soap. 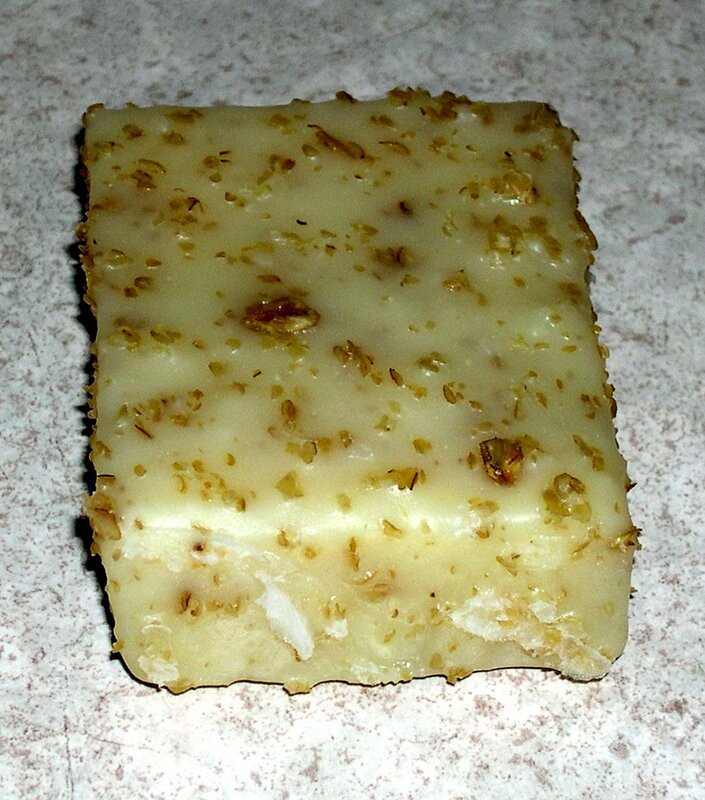 Want to try making your own Oatmeal soap? Try either the Oatmeal Cinnamon Soap or the Oatmeal and Honey Almond Soap recipes from our Recipes section. Next week I’ll make both batches and show you how we make these wonderful soaps! Whole oats on the left and oat flour on the right. I know which one I want in my soap.